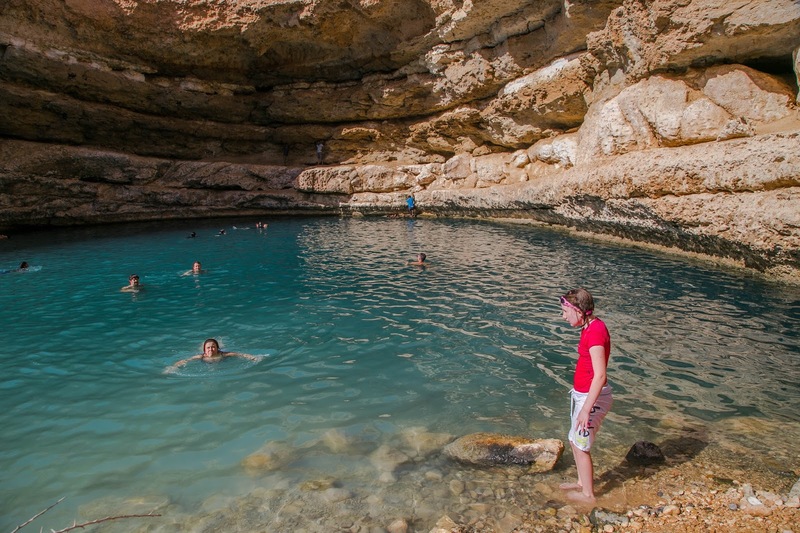 One of the most highly rated things to do near Muscat is to visit the Sink Hole. We made our way there after a short pitstop at the beach which was literally across the street from the Sinkhole. It is believed the sinkhole formed when the bottom layer of limestone eroded away causing a collapse of the upper story. It filled in with sea water and boom a tourist attraction was born! 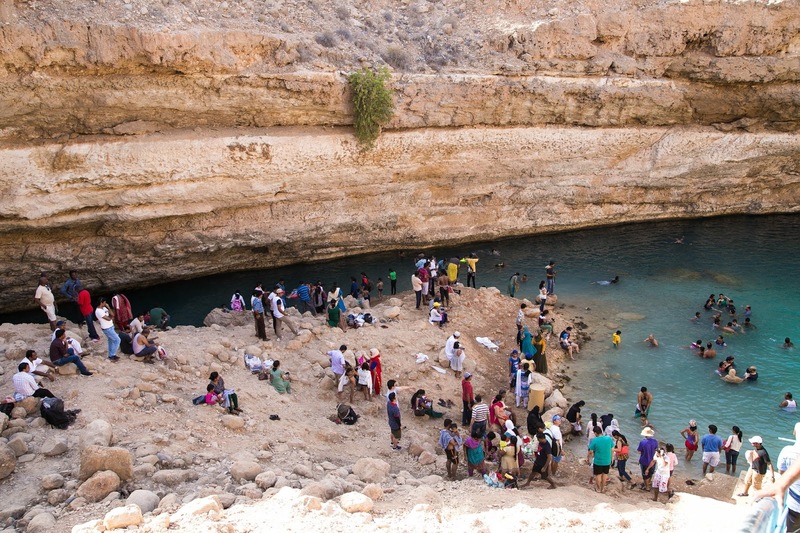 Address: 125km south of Muscat on Route 17. Watch for signs on the right. Tip: This is a popular destination, arrive early to beat the crowds. 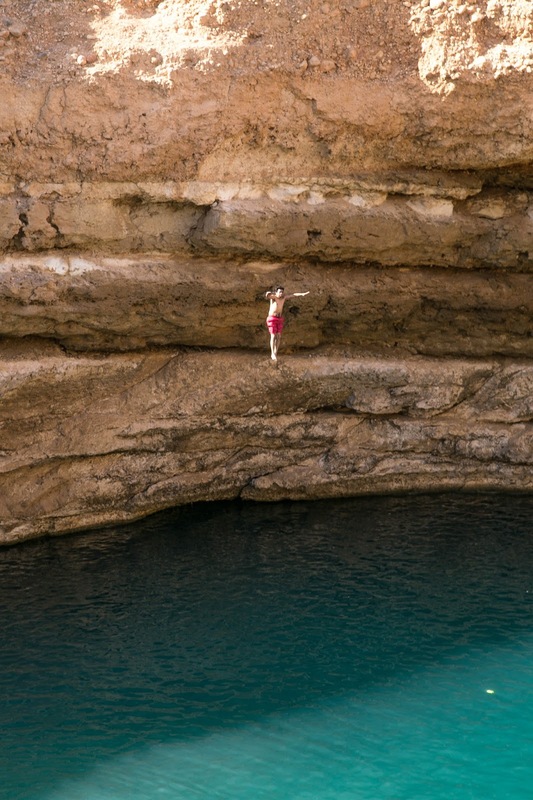 Also, wear Teva type sandals if you plan on cliff jumping. There are no restaurant facilities, but there are picnic tables and benches. Bring plenty of water. 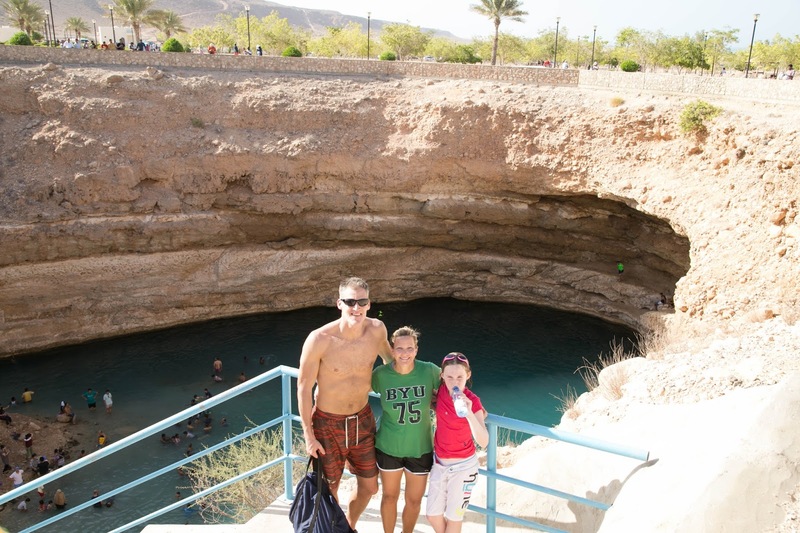 Time: We spent about an hour swimming in the sinkhole. A couple of men showing off their bravdo jumped off the lip of the hole--CRAZY! The picnic tables, are they shaded? Yes, but it was so hot it made a very nominal difference. I just love all these fun finds that you would never think you would find in the dessert! Beautiful water! That water is SO blue!! Interesting and beautiful spot. Very brave/foolish of the men to jump from that height! Your photos are just lovely. 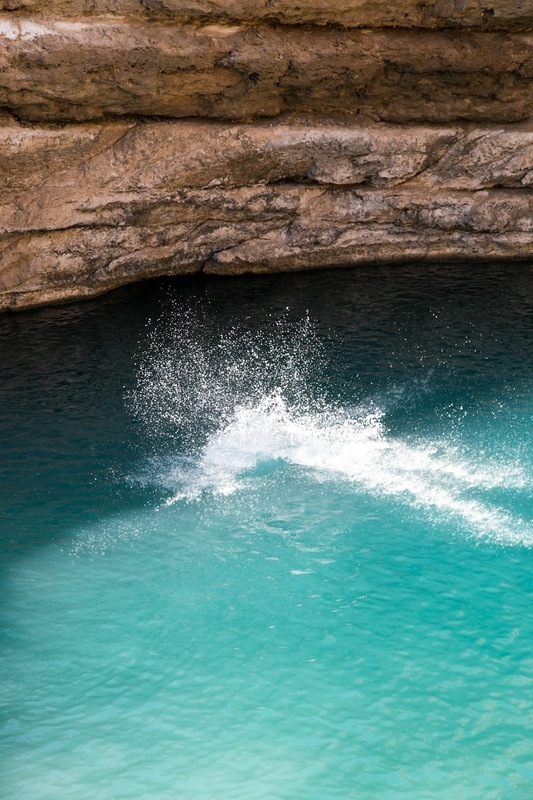 My favourite is the diver jumping into the water, it really gives a feel for the huge size of the hole. The limestone is so pretty too. Thanks for sharing it with us all!